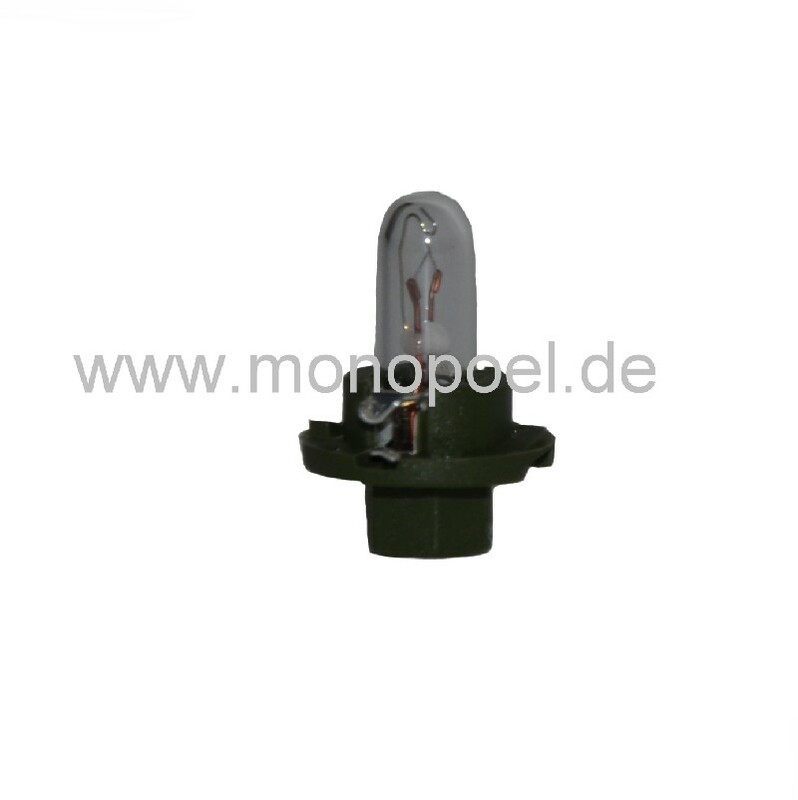 The bulb with plastic socket has numerous applications usually as in a control lamp or speedometer lighting. You need 8 pieces for the instrument cluster of the W124. We recommend the replacement of all bulbs all at once when the instrument cluster is already dismounted due to our experience that after the first failure the other old bulb will follow before long. Our bulb has a hexagon socket with wrench size 6.